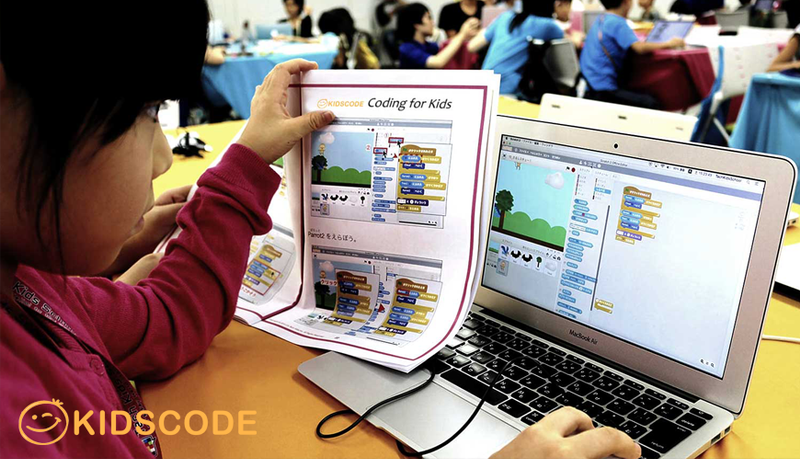 KidsCode.sg is an up & coming coding school that wants to bring a different mix to the playing field. With over 20 years of experience in school-based training, our founders have decided to bring that same expertise to the public sphere. One thing that we believe our more established competitors are missing is encouraging continuous learning in our children. At KidsCode, we don’t just ensure that kids just pick up coding skills; we also make sure that parents know how their kids have developed and how they can take the skills they have learned beyond the classroom. We provide a certificate as recognition of our students completing their course and have picked up the right skills. We provide a simple analysis of our students’ performance that incorporate a simple assessment rubric by our curriculum advisor, a former school HoD. All students get to bring their accomplishments home in a form of a thumbdrive so they can continue to work on it even after the course. Some of our courses include coding kits or equipment. Our students get to bring them home too! Each course graduate will get a unique KidsCode course e-book that will help them to explore even further beyond what they’ve learned in class. Some of our courses include: Scratch Basics 101, Python Basics 101, Minecraft Essentials, Scratchwith Makey Makey, Fun Automation with Green Fingers and more! Currently our courses are geared for the June School Holiday period and will run from 29 May to 24 June. - We are centrally located, with our studio located just behind Centrepoint. - Our students’ security is always a key priority for us. - We maintain a great teacher-student ratio (1 teacher & 1 assistant in each class). - Our course rates are the lowest but we never skimp on providing quality learning. To find out more about our courses, visit us at https://www.kidscode.sg and enrol your child today!